Birthdays are an occasion worth celebrating – especially ones that end in zero! I was given full creative range on this event and had so much fun dreaming up the florals for this fabulous celebration. The color palette of hot pinks and bright oranges just screamed FUN! 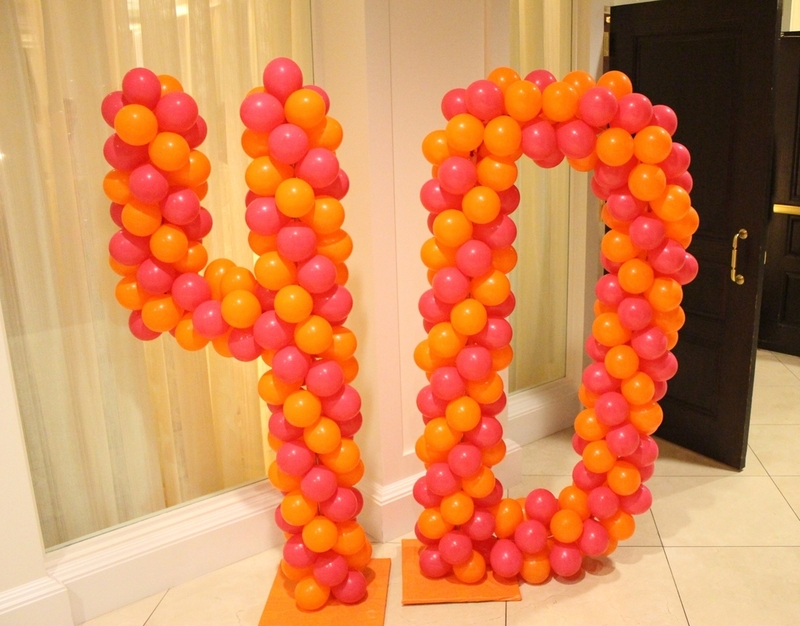 My favorite component of the night was the birthday girl’s monogram done in pink and orange roses and framed in gold. It was the perfect focal point to complement a table of photos of the birthday girl through the years. The birthday girl looking 40 and fabulous! Mini ice cream cones were passed out on the dance floor as she made a wish and blew out her candles. It was a fun-filled night she won't soon forget!